Aoi Budogu - Japanese Martial Arts Supplies. Burnaby BC. Good source of high quality Hakama, Gi, Obi, Bokken, and Iaito. Mikado - Martial Arts Supplies. Vancouver BC. A source medium quality Hakama, Gi, Obi, and Bokken. Tozando - Japanese Martial Arts Supplies. Kyoto Japan. 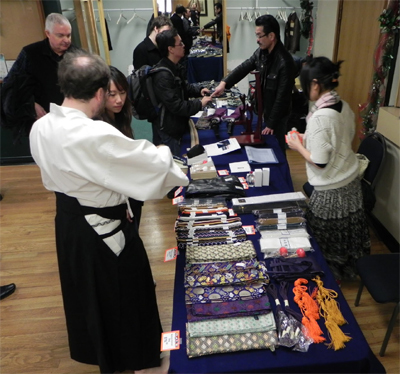 Good source of high quality Hakama, Gi, Obi, Bokken, and Iaito. Facebook Page - Official Seito Seiryu Muso Jikiden Eishin Ryu Iaido Kokusai Renmei (IKR) facebook page. Website - Official Seito Seiryu Muso Jikiden Eishin Ryu Iaido Kokusai Renmei (IKR) website. http://www.todokai.ca/ -Todo Kai Dojo, Nanaimo and Ladysmith BC, Canada. http://www.iaido.org/ - Nishi Kaigan Iaido Dojo, Berkeley and San Francisco CA, USA. http://www.bostoniaido.com/ - Boston Eishin Ryu Iaido, Boston MA, USA.